A main focus of the 84th Legislative Session, Speaker Straus and other state leaders, through HB 1, provided a historic $840 million in All Funds for border security. This will allow for the hiring of 250 new Department of Public Safety (DPS) troopers and allow a 50-hour work week. In addition, HB 11 allocated $310 million over the 2016-17 biennium bolstering security along the Texas-Mexico border. 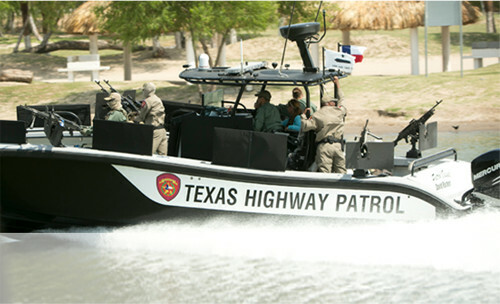 Among its provisions, it creates a training facility for law enforcement in the Rio Grande Valley and a study on the feasibility of southbound checkpoints on international bridges. Speaker Pro Tempore Dennis Bonnen of Angleton will chair the new committee. Its membership will also include Reps. Larry Phillips of Sherman, Poncho Nevarez of Eagle Pass, and DeWayne Burns of Cleburne.